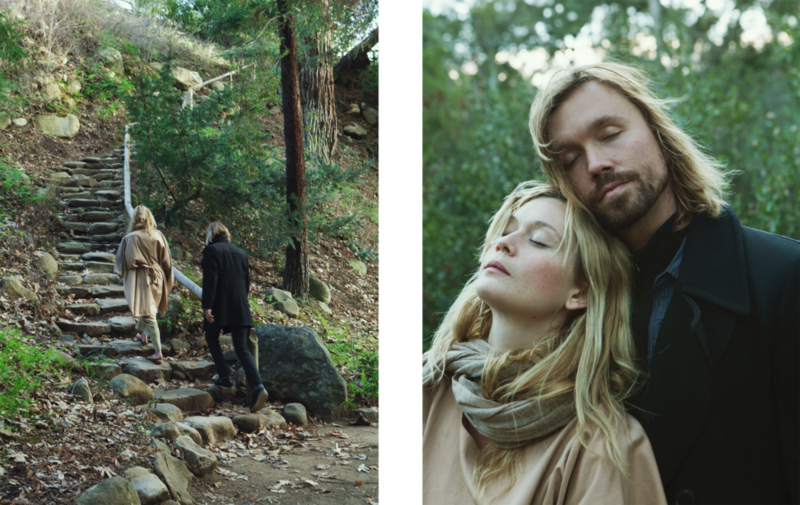 Scott Linde and Nitsa Citrine, the couple behind the “transformational foods” of Sun Potion, are turning ancient herbs into everyday rituals. “Look at the rainbow!” Scott Linde, the founder of Sun Potion Transformational Foods exclaims. We’re hiking in the park near the Santa Barbara home he shares with Nitsa Citrine, his partner in work and life, when the most magnificent, full-blown rainbow appears over a nearby mountain. It seems an apt display for Linde to point out, as someone who’s made it his life’s work to bring the magnificence of nature, specifically plant materials, into everyday modern life. For the uninitiated a glance at Sun Potion’s offerings may seem esoteric—names like anandamide and polyrachis ant don’t necessarily roll off the tongue. But it’s the inherent accessibility of Sun Potion’s products that makes them so special. Citrine serves her Strawberry Cashew Cacao potion; see the recipe below. A potion to elevate the collective mood; nourish and activate creative energy, collaborations, and stamina; and cultivate a certain sweetness in presence. Pour tea into high-speed blender. Add the dry herbal powders. Pulse a few times. Add cashew milk. Pulse a few more times until creamy and frothy with good vibes and love. Pour into favorite cups, and, if you like, serve with a sprinkle of cacao or pine pollen on top. In joy!